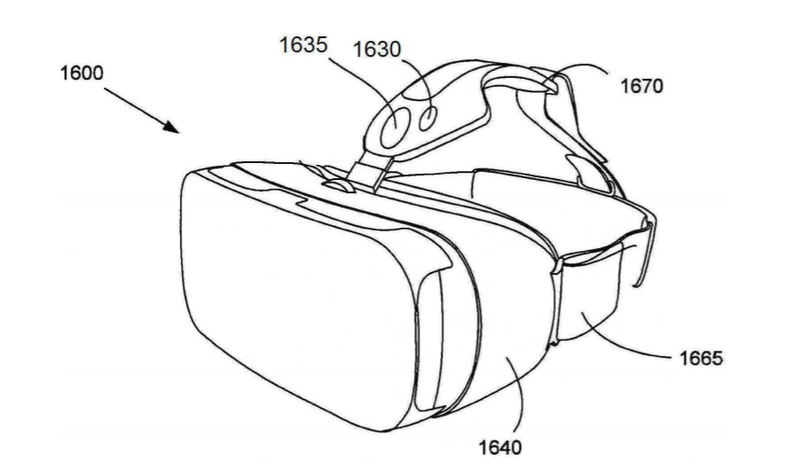 A patent application, filed by Samsung last May but published recently, shows a Gear VR headset with extended tracking capabilities. The documentation reveals that not only the headset’s position can be tracked, but also movements of the wearer’s eyes and their facial expressions. An important limitation of the current Gear VR is the fact that, unlike in non-mobile VR headsets, there is no position tracking. It should, therefore, come as no surprise to hear that Samsung looking for ways to fix this. A patent application published in South Korea, titled Image Processing for Head Mounted Display Devices, provides a glimpse of just that, and more. 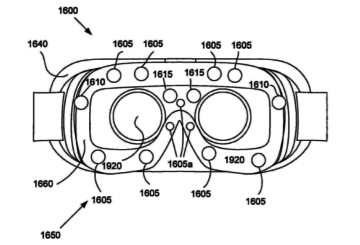 In fact, the patent itself is not directly about position tracking for the Gear VR, but rather about using various sensors to model the user’s face. Such a model can help make social interaction in virtual reality more personal. 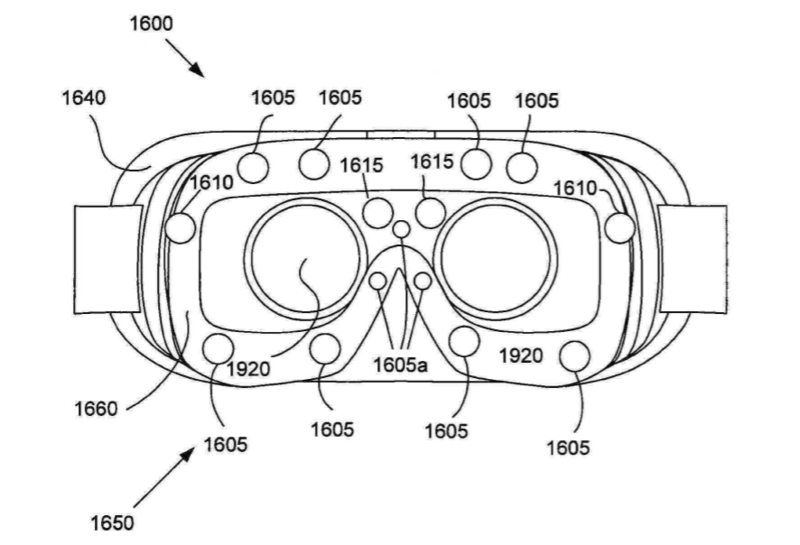 However, the patent does offer a glimpse of various tracking features that can greatly improve all types of VR experiences. First, we see that Samsung would like to track both position and facial features using an external camera device. Using LED lights on the Gear VR, its physical position can be determined. That same camera can also identify some facial features left uncovered by the headset, such as the mouth. Next, there is the Gear VR itself, which is shown equipped with a plethora of additional sensors. Embedded inside the headset are electrooculographic (EOG) and infrared (IR) sensors that can track eye movement and facial expressions. As with any patent application, it is important to point out that there is no telling if and when all these tracking features will make it to a commercially available version of the Gear VR. Also, none of what is shown is particularly new or unique. 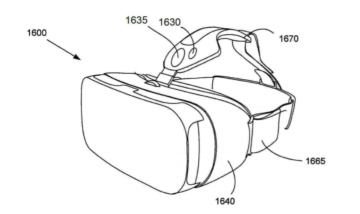 What this patent does show, however, is that Samsung is indeed thinking about adding additional sensors and tracking capabilities to its popular mobile VR headset. There is a small chance (small being the operative word) that all of the above is much less theoretical than assumed. After all, an unknown camera device dubbed SM-R210 was recently spotted heading to an R&D facility in India. Should that device turn out to be the tracking camera described above, we could see a much-improved position tracking Gear VR already in 2017. Still, we suggest you don’t hold your breath for this one. the issue I have with the Gear VR is with condensation, the goggles steam up really quickly, I’ve tried loosening them but to avail. It doesn’t always happen, and I am not sure if I am just wearing it wrong, if there is such a thing! ?